Starting in a hobbyist’s living room, Tulsa Stained Glass rapidly grew into a full-service stained glass studio. Since 1975, we have served the Tulsa area with custom stained glass for residential, religious, and business applications. We share our love of the craft with classes ranging from the 2- and 3-hour Rings and Things, Garden Spirits, and Spirit Rings sessions to our 8-week Beginner Stained Glass program. We have a retail space with all the glass, tools, and supplies you need to enjoy working with stained glass, along with showroom space displaying stained glass art both old and new. 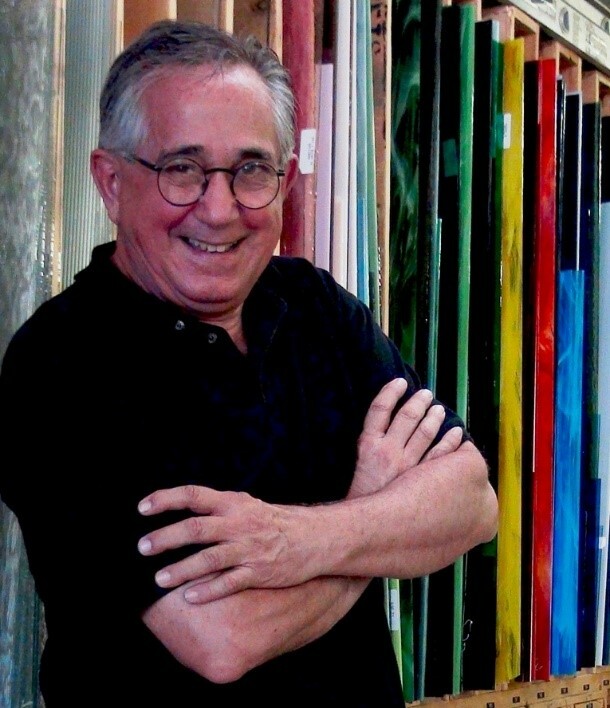 Under the ownership and guidance of co-founder Richard Bohm, Tulsa Stained Glass continually strives to deliver fresh artistic adventures while maintaining the centuries-old quality of traditional stained glass. Richard’s philanthropic adventures began with an art project in conjunction with Tulsa’s Ronald McDonald House — kids made concept artwork of the House’s mission, and Tulsa Stained Glass students replicated it into two stained glass windows that were installed and are still on display in the House. This was the seed from which the Art Smart Challenge drawing competition — an outreach to encourage art and well-being among children and adults world-wide — has grown. The current project to design and build a stained glass window for Tulsa’s Resonance Center for Women are building on that foundation. DoodleBohmBa, a program teaching social workers and therapists a self-expressive spontaneous art process to facilitate communication with their clients, is extending principles learned through the years into a new arena. Richard has given up on saving the world many times, but he remains an advocate for helping others reach new heights by using art as a tool of discovery and self-fulfillment.